The game of golf embodies strength, flexibility, endurance, balance, and mental discipline. SMGA programs are designed to leverage these attributes to facilitate the healing process. For those new to the game, you will find this takes a great amount of dedication to become a member. SMGA members are eligible to use many resources at little or no cost to you, so you can continue to incorporate golf into your physical and mental recovery. Each calendar year, members can apply to take up to two (2) private golf lessons with a PGA Class A Professional of their choice. To help with the high cost of greens fees, the SMGA has forged a number of partnerships with local golf courses and country clubs to provide free or discounted greens fees. For a complete list of courses in your area, please contact your chapter representative or SMGA Team Member. Each year, hundreds of golf tournaments donate free playing spots for our members. To receive email updates for future openings please sign up for our mailing list. Members are eligible to receive a substantial discount on TaylorMade and Adidas golf gear through the SMGA. Members are eligible to have registration and entry fees in local amateur tours, such as the Veterans Golf Association Tour (VGAgolf.org) reimbursed to them. Members may register for free to establish a handicap through the Maryland State Golf Association. SMGA members often get the opportunity to participate in many once-in-a-lifetime golfing experiences all expenses paid. Past trips include The Masters, Tiger Jam, Monday after the Masters, Golf Ireland, and many more. Visit our FaceBook page for updates. SMGA member benefits require the use of your SMGA issued membership card. In order to obtain one, you must first become a member. For more information on how to become a member, click here. 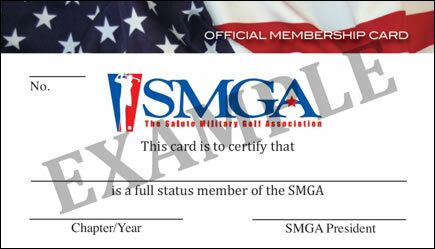 If you are already a member, but have not received your SMGA issued membership card, please Contact Us. 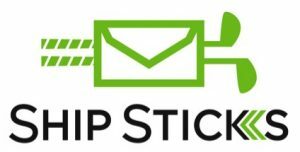 The SMGA is proud to partner with Ship Sticks to offer a discount to SMGA members and participants. Ship Sticks offers worldwide door-to-door service of your golf clubs. To start, please follow the link below.